Well, it was a busy time in Ottawa. 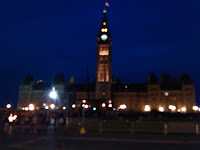 Caught an 8 a.m. flight from London to Ottawa. While waiting for the public bus to go to the residences at U of Ottawa, I overheard a woman telling another that she was participating in Project Overseas. We got to talking and it turns out that we had both come from the same town in the morning and had been on the same flight. Small world!! When we were lined up to check in another woman on Project Overseas was in line. She had come all the way from Nunavut and was on her way to Ghana. She said that there was still snow on the ground at home an that it would be 45 degrees where she was going. Love it! 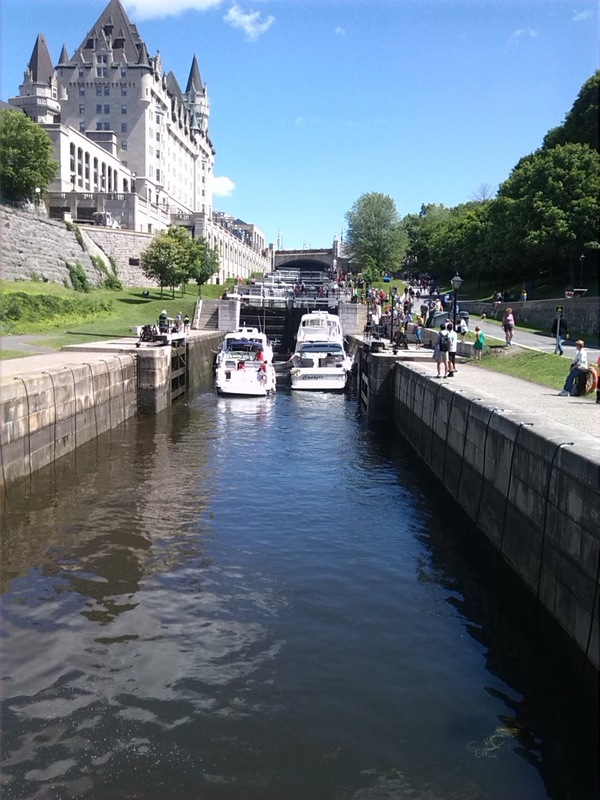 The three of us wandered around the market, the canal and the Parliament Buildings in Ottawa after having a nice relaxing lunch. 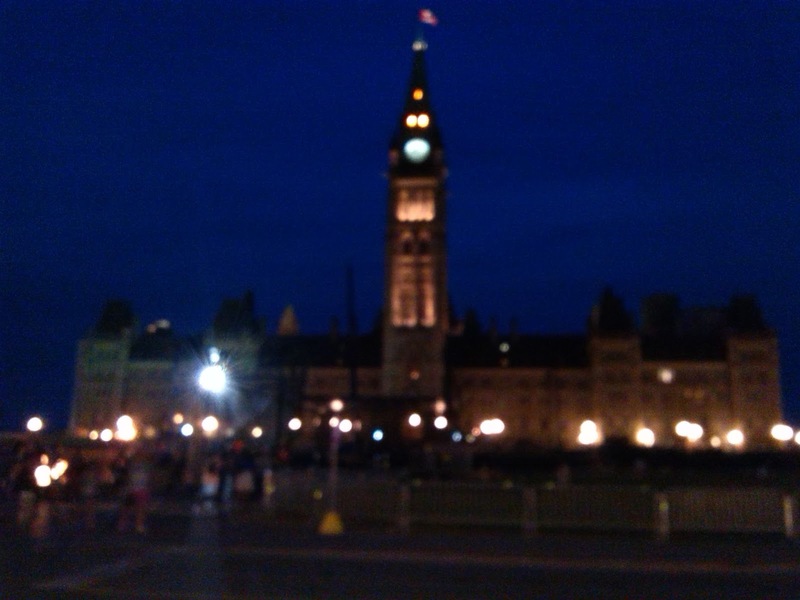 Ottawa is such a beautiful city. That evening at 5:45 all participants were picked up in a school bus and taken to the Canadian Teachers' Federation office. At the office we had a fabulous dinner, met our team mates and all of the other participants. There are 57 teachers this year. Of those, 40 are first timers, 13 are project leaders and 4 are return participants. We learned about CTF and its involvement with International Education and met the wonderful people who organize Project Overseas. This evening I met Joe. He works in Toronto and is a member of ETFO. Joe is on his second trip to Ghana, but this time as a team leader. Check out his blog at http://nomadicjj.blogspot.ca/. Up bright and early to walk over to restaurant for breakfast. After breakfast, picked up by our school bus and off to CTF. It was a busy day with many activities planned. We began with the experienced volunteers sharing with the new volunteers. This was very informative. Teachers were in groups and the experienced participants rotated to different groups. After we were broken into newbies, experienced and team leader groups. Each group did something relevant. We learned more about the program and it was shared that last year over 90000 students experienced the benefits of the teacher PD sessions. We also learned that it is important to be very flexible and to really listen to what our co-tutors (in country teacher partner) have to say because the PD is about what the local teachers need, not what we think they should have. Soon enough it is time for more great food and then back to working sessions. 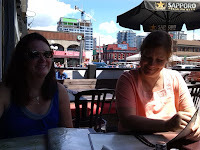 The afternoon was spent discussing finances, dealing with media requests and social media, working as a team, and preparing for Canada Day celebrations in country. 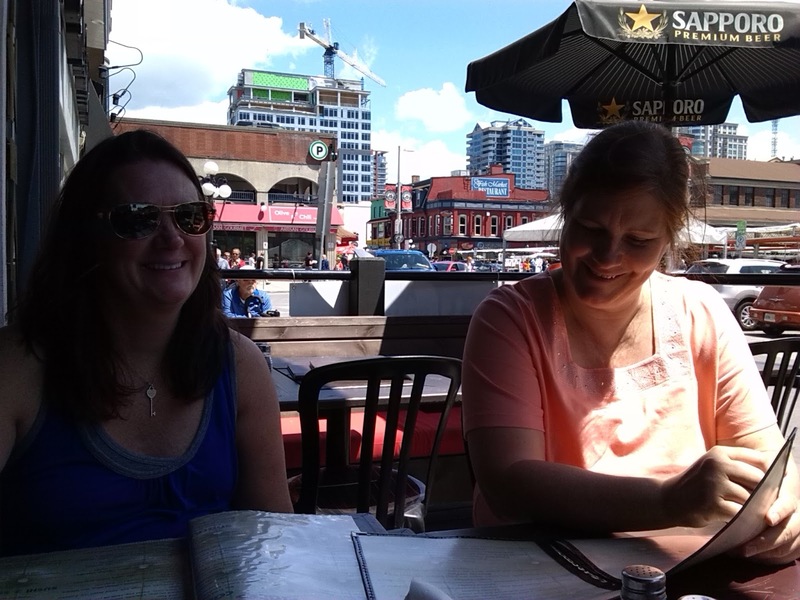 Dinner was a time for team building at a restaurant of choice in Ottawa, which was only about a 10 minute walk from the residence. Today began as did yesterday. Breakfast and bus to CTF. It was another day of information sharing, and team building. Today we talked about the HIV and gender equity discussions/workshops that take place in each country. We looked at action plans for our country and discussed the use of SMART Goals. We were then introduced to IMAGINEACTION. 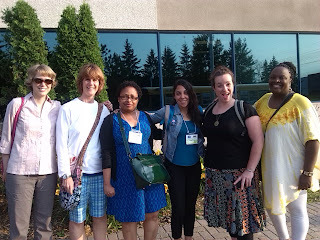 (https://www.imagine-action.ca/) It is a social justice program of the Canadian Teachers' Federation. All Canadian teachers can access the site and can apply for grants of up to $300.00 for projects related to poverty, gender equity or human rights. The projects can be carried out all year with the students. The site also has some great resources for teachers. After lunch we talked about adult learners and development cooperation. After dinner it was back to the residence. Same morning routines and then a few things to wrap up before getting ready to head to our countries. The afternoon was spent packing, reorganizing and shopping for last minute things. Dinner was fabulous. Each team sat with someone from their host country. We had the good fortune of meeting Barbara. She was energetic, happy and vibrant. She was able to answer all of our questions and made us feel at ease with our trip to Dominica. After dinner it was early to bed for our 3:45 a.m. departure. Up and on the bus by 3:45. About 20 of us… on our way to Toronto and then on to Barbados. Most were carrying on to their destinations that same day. We were lucky to have an overnight stay in Barbados. It was going to be a long day. We arrived in Barbados almost 12 hours later.